Tapering is when you reduce your mileage or the intensity of your workouts before a big event. I’m going a full week without running before the Boulder Half this Sunday. I couldn’t run last weekend because I was painting the living room. Running is a hobby, but making Karen happy is job #1. Then, for whatever reason, I was too exhausted Monday to run. I just sat down after dinner cradling my beer. Feel great now that I’m up in Summit County on vacation, but I won’t be running. I can tell you though, tapering has never been so active. 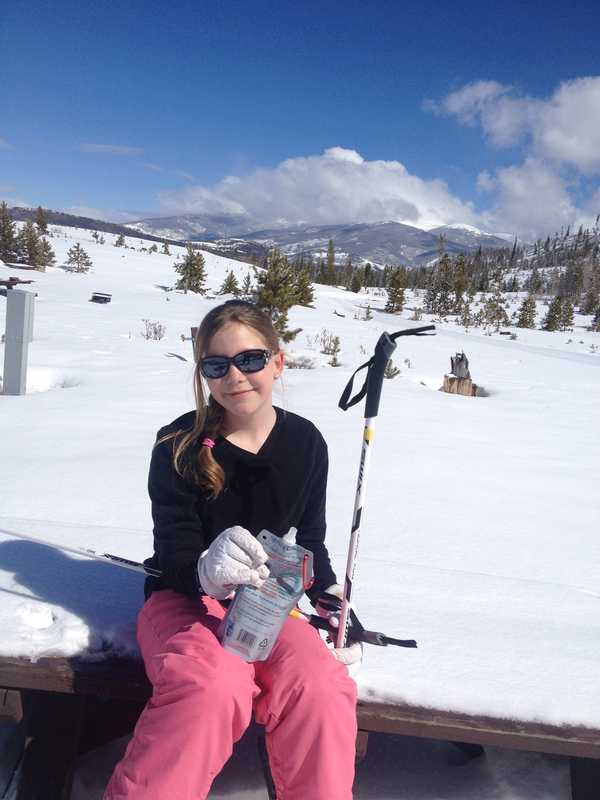 We Nordic skied at the Frisco Nordic Center. First time for Karen and Ellie and my first time since 8th grade. We took a family lesson which was smart. I feel like I got the hang of it and am hooked. I have no doubt I’ll be buying some gear. This is so pleasant, it beats snowshoeing big time. Didn’t hurt that we had fresh snow from the day before and roll-up-your-sleeves sunshine. 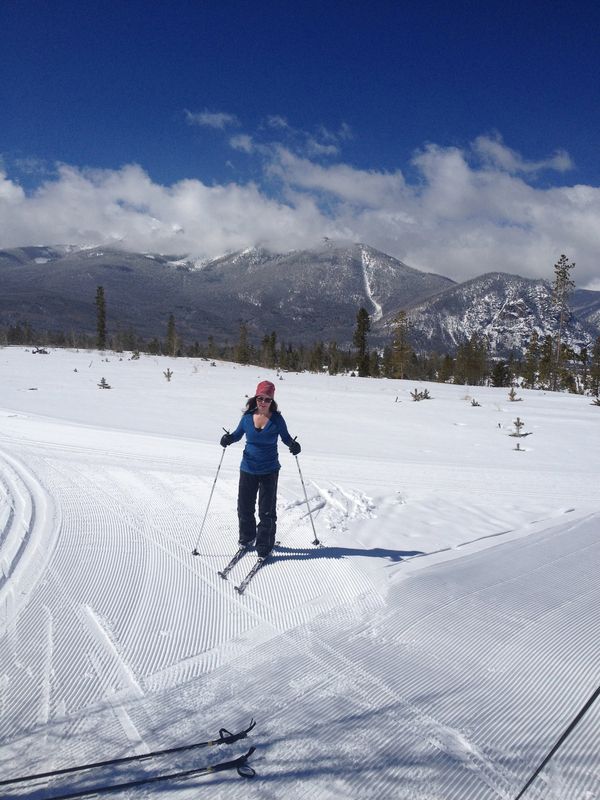 We’ve snowshoed at the Nordic Center in Breck before – same owners – but Frisco has tons more terrain along Lake Dillon. Steve, our instructor, gave us some great tips. We learned the basic motions, including double-polling and a scooter technique. Ellie was a natural. We plan to alpine ski tomorrow at Copper but I could do Nordic again. I shouldn’t totally discount the hot tub but I’m not at all tired from the 90 minute routine. Nordic skiing is totally a running motion and my muscles feel fine. If anything, my ankles might be a bit fatigued. I can see how this would be fantastic off-season conditioning to support my running. 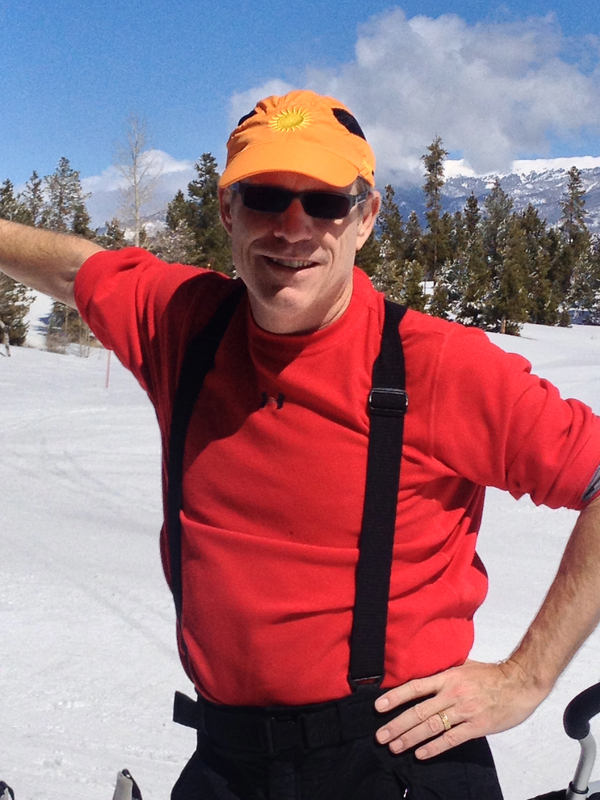 And there are some nice places for cross country skiing in Boulder County. There’s a spa in our lodge but I don’t plan on taking advantage of it. I’m pretty relaxed without it and my body has recovered this week from not running. Copper might make me stiff but I’m still looking forward to my post-race massage planned for Sunday afternoon. Nice Spring Break.